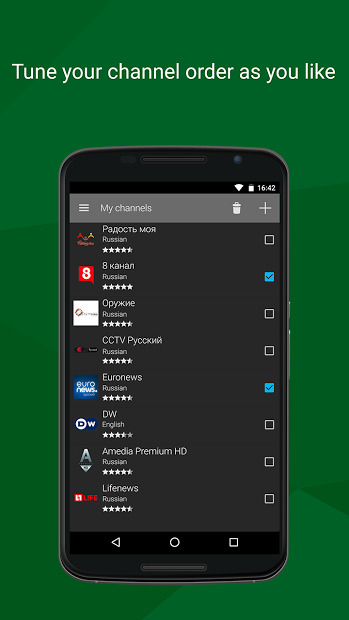 SPB TV is a free application for watching TV on your Android device. More than 200 TV channels from all over the globe are available on Android smartphones, tablets or on your TV, using Chromecast. The SPB TV’s content store boasts live and on-demand, free and by subscription, popular and little-known channels. You can watch channels like Euro News, NASA TV, France 24, music channels, documentaries, even a channel with 24/7 sounds and images of waves to relax, or a sparking fireplace! Note: We do recommend to be connected to a Wi-Fi network for a smooth viewing experience or avoid extra data charges.